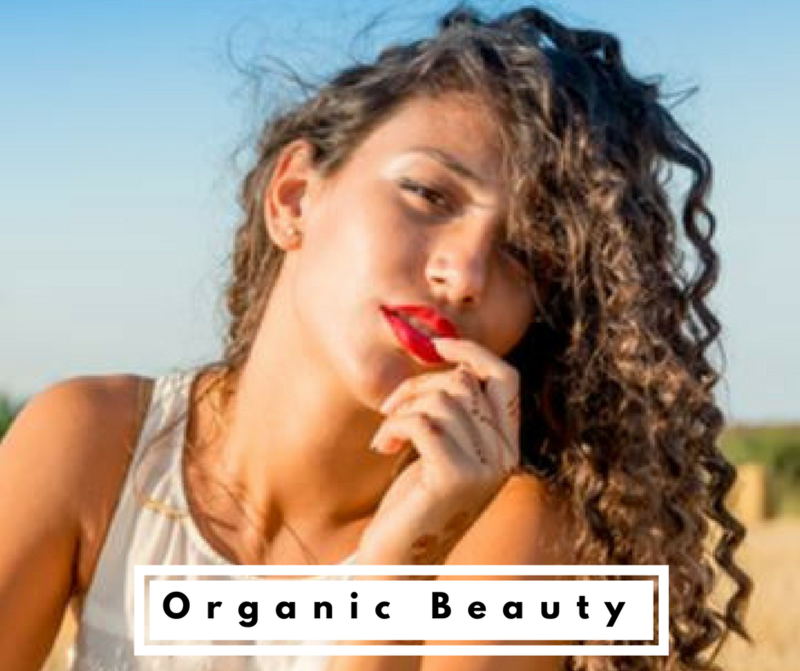 What is the latest news in the organic beauty community? What is new on CFB? Read the ​Posts below! Posts contain affiliates links. Keep Your Glow the Organic Way! I tested organic beauty products, so you don't have to. Read my latest organic beauty products reviews to find how they might work for you! I share my opinions on what worked for me. My posts include helpful tips to empower us to make healthier lifestyle decisions. Get access to our free resources for a cleaner beauty routine. & Read 31 tips for a Stress-Free holiday season! 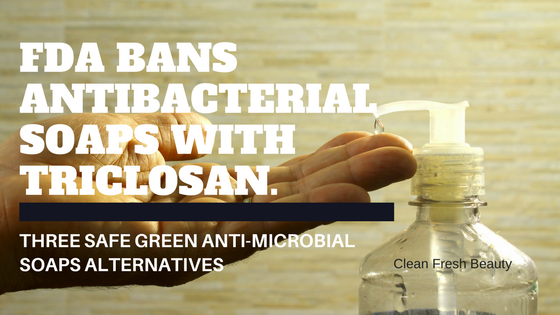 FDA Bans Antibacterial Soaps Containing Trisclosan. What are the natural alternative to keep your family safe? After years of raising concerns from public health experts, the FDA finally banned 19 chemicals contained in antibacterial soaps and gave companies one year to remove these chemicals from their products. The FDA based its decision "on data that shows these chemicals do more health harm in the long term than good. 3.Vi-Tae -Certified Organic ANTIBACTERIAL Soap. Shop here. Read more. Do you Have the Leaping Bunny App? You are in the store or browsing online and you see all these products claiming that are cruelty-free; you are not sure what to make of these claims. Well, the new and improved Leaping Bunny app is very handy to verify companies' claims. Leaping Bunny released a new and improved app for iPhone users. Bummer for us Android users :( , Leaping Bunny is still working on the version for us. What is including in the new version? User-friendly interface; you can directly scan barcodes to verify caompanies' claims. Updated list of Leaping Bunny certified companies. Exclusive promos, discounts, and freebies - portion of the proceeds will be donated to Leaping Bunny! Create a customized shopping list for your favorite companies. How keep a beautiful healthy skin during Fall? Beautiful fall also brings dry air and cooler temperatures. Like nature, our skin changes during fall; our skin becomes rough, dry, dehydrated, and dull. It is very important to adjust our organic skin care routine to have a beautiful and glowing skin during fall. ​​Here are 5 tips to tweak our natural and organic skin care routine for fall. Tip #1. Switch to an Heavier Facial Daily Moisturizer: Acure Organics has thicker natural and organic day creams that provide great protection. Few oils to add to your moisturizer: Indie Lee Moisturizing oil and Bee Naturals. Tip #2. Use Toners to Boost Skin Hydration: they add additional moisture to the skin. My all time favorite and a basic in my skin care routing is the Thayers Facial Toner. ​Read More. Is coconut oil and butter good for dry skin? Is it the best oil for natural skin care? What is it all about? 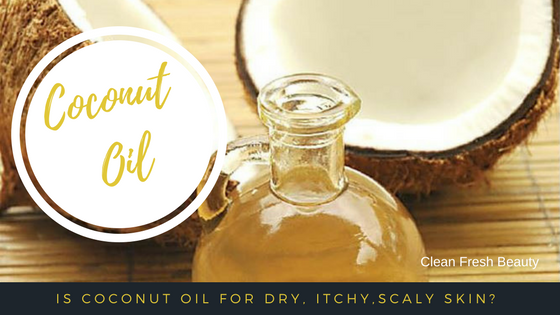 I use many different oils and butter for my dry skin and coconut butter and oil work wonders. Coconut oil is also rich in proteins; it regenerates and restores the skin. It contains vitamin E, which promotes healthy skin growth, skin repairs, and is anti-bacterial according to Organic Facts. Find my simple DIY coconut butter lip balms recipe and read more about coconut oil. New to the organic and natural skin care beauty? Wondering what ingredients should be in your natural skin care products? Some plant extracts that are great for oily skin might be too harsh on sensitive and/or dry skin. What natural ingredients are best suited to fight acne, brightening the skin, and soothing irritated skin. For acne-prone skin and oily skin, thyme and tea tree oil have antiseptic and antibacterial properties to help clear pimples and help manage sebum production. Read More. ​Are you wondering what chemicals you should absolutely avoid in your skin products? There are so many chemicals in conventional products. It is essential to have an idea of what to avoid. Read more to find the dirty 9 to absolutely avoid in your products.